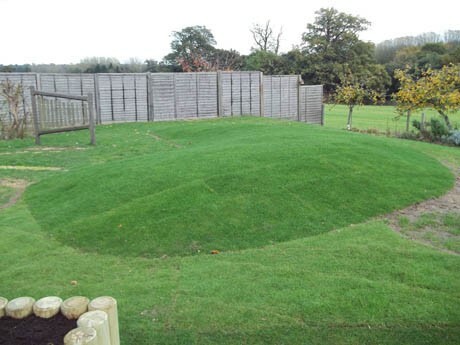 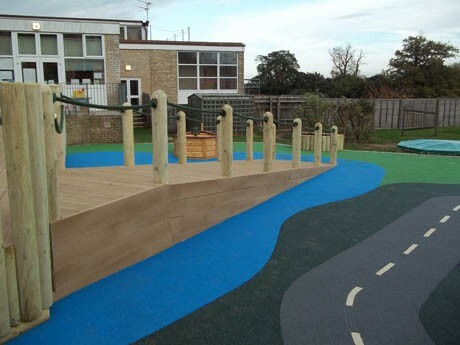 The play area within the Nursery at Ipswich High School for Girls has been a fabulous transformation into an outstanding educational outdoor arena. 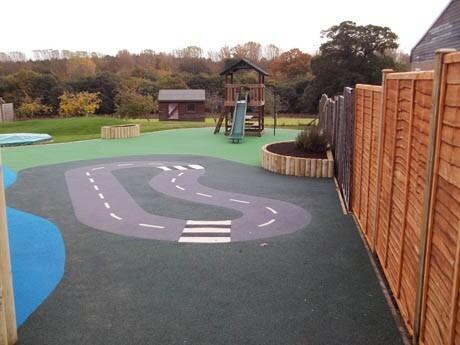 An initial design consultation meeting and site survey at the nursery lead to our Design Department adapting the client’s sketch into a feasible and innovative educational playground vision. 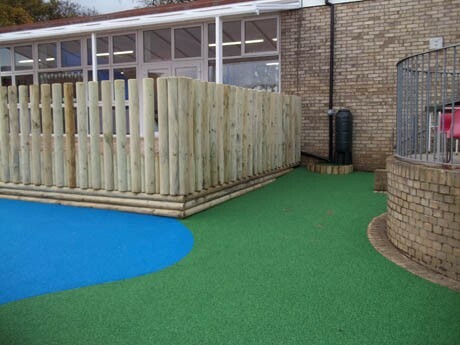 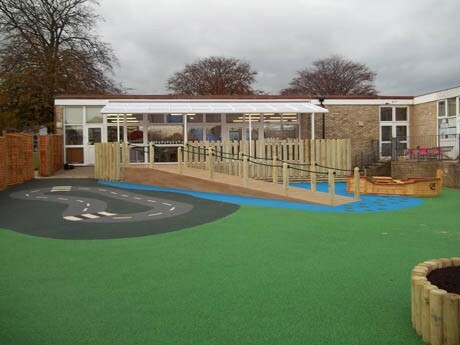 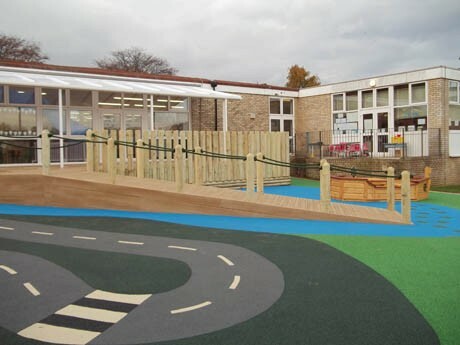 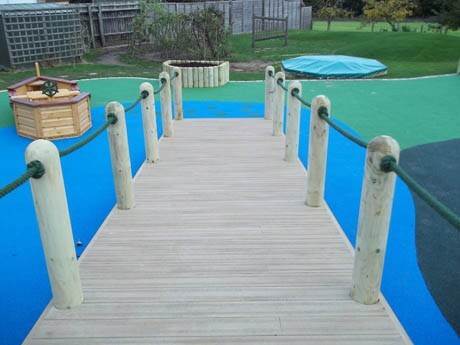 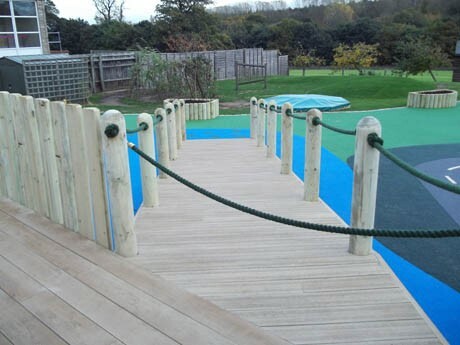 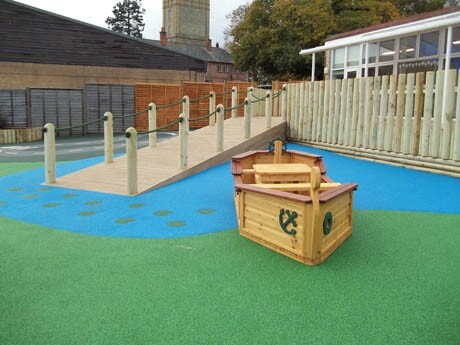 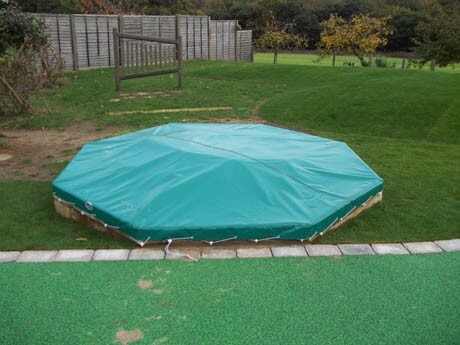 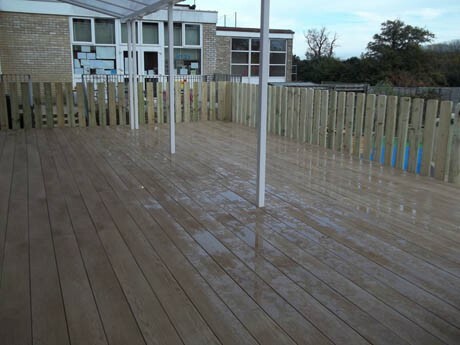 The scheme includes a covered play area, beneath which is an immaculate decked area for use even in the most inclement weather, then leading down to an all-weather Flexiplay® Wetpour safety surface, via a beautiful walkway with a rope handrail. 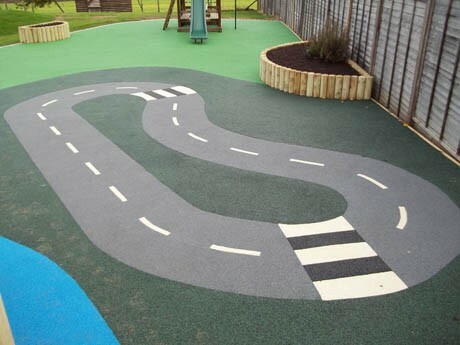 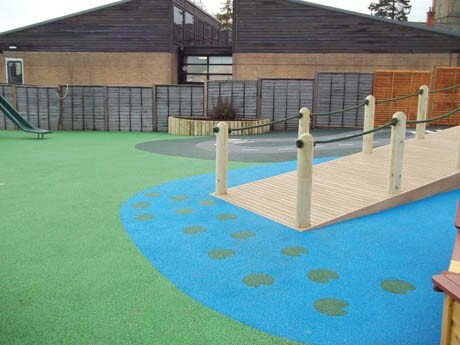 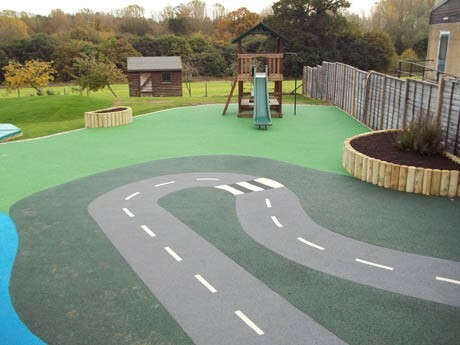 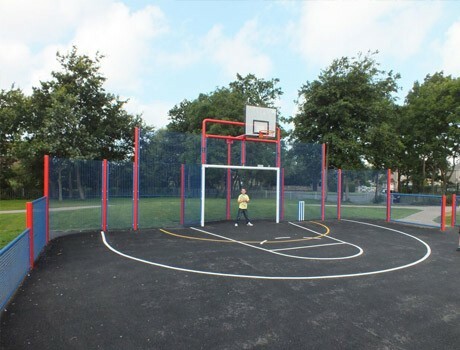 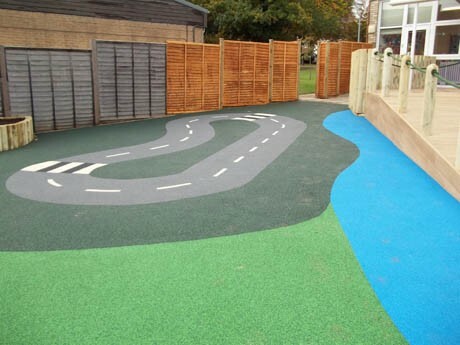 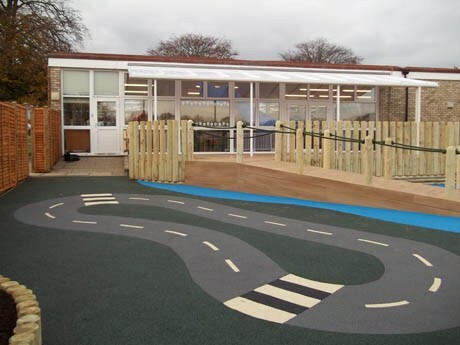 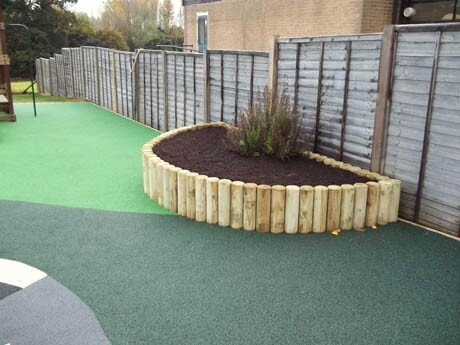 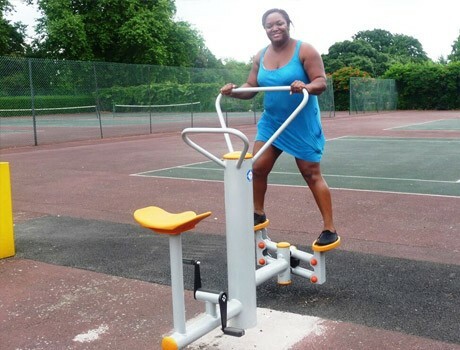 The Flexiplay® surfacing has been designed to incorporate themed colour graphics including a cycle track as well as land and water features. 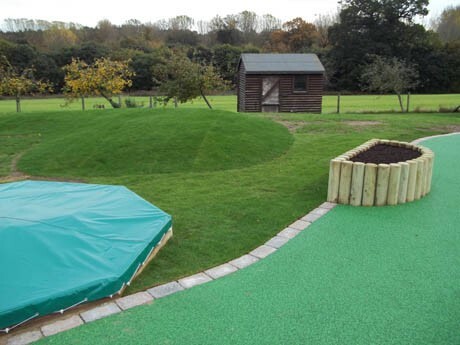 Completing the area are various round log planters and a covered sandpit.